Few cars do the saloon thing as well as the BMW 3 Series. It's exceptionally well built, reliable and great to drive. Knowing that it's a safer place for your cash than the majority of rivals is peace of mind, too, and strong sales from new mean you won't have to look too hard to find one that suits you. It can trace its roots back to 1975, and the current BMW 3 Series is just a fine a car as the original. Great handling, a superb choice of engines and excellent build quality are its strongest suits, but the 3 Series is also easy to find and hangs onto its value better than the majority of mid-sized saloons on the market. That means it can be more expensive than rivals to buy, but it's worth the extra if you can afford it. It's best known and easiest to find as a saloon, but the 3 Series is also available as an estate (called Touring), a sporty coupé and a convertible. The range of engines is huge, with everything from a humble 2.0-litre petrol, through frugal and punchy diesels to the fire breathing V8 of the M3 performance version. Diesels are common and they hang on to their value well - especially the 320d, which offers the best blend of performance and economy. The 316d and 318d versions are even more economical, but they arrived later on, so they're still pricey. Entry-level petrol engines are very cheap - they're easily the most affordable way into 3 Series ownership - but they're often difficult to sell on, as the diesels are so favoured. SE models are the ones to go for because they're well kitted-out and hold their value well. Avoid ES versions because they're sparsely equipped and unattractive to buyers when it's resale time. You can get a lot of car for your money by seeking out a generously specified Business Edition model - just remember that more kit doesn't necessarily mean the car will be more valuable when depreciation takes hold. 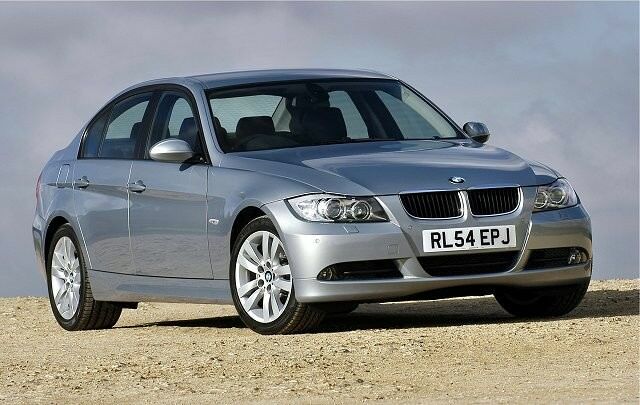 The 320d can't be bettered. It's powerful enough for most, as well as being smooth and refined. The fact that it's such a good all-rounder and cheap to run renders it the safest place for your cash out of all the other models in the range, too. Petrol cars are where the bargains are - even larger-engined versions are temptingly cheap. They're priced as such because of their higher running costs and relative lack of popularity, so they're worth a look if you can stomach the fuel and taxation bills.